Can I tell you how excited I am to see a young girl of color play a badass heroine in a major motion picture again? I feel like we haven't seen this since...Beasts of the Southern Wild? In any case, Bong Joon Ho's (Snowpiercer) latest OKJA stars 13-year-old Seo-Hyun Ahn as Mija, who will stop at nothing to protect a massive animal from meeting its demise at the hands of corporate opportunists. 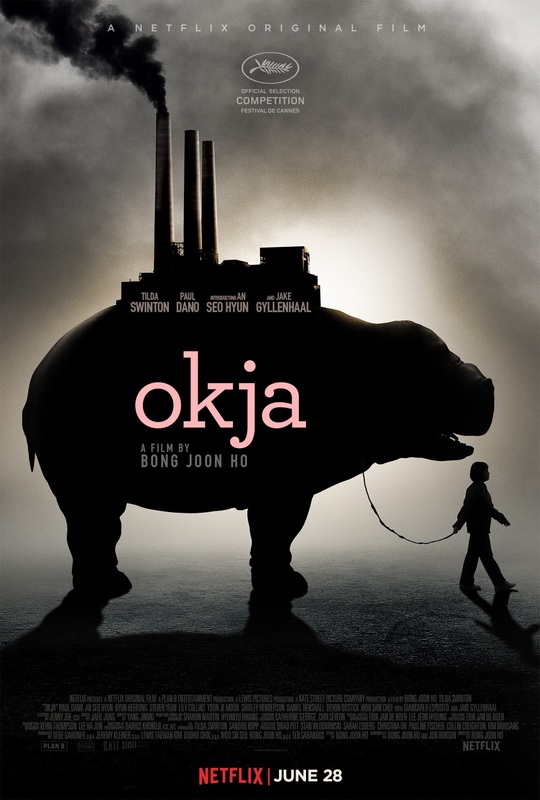 For 10 idyllic years, young Mija (An Seo Hyun) has been caretaker and constant companion to Okja - a massive animal and an even bigger friend - at her home in the mountains of South Korea. But that changes when a family-owned multinational conglomerate Mirando Corporation takes Okja for themselves and transports her to New York, where image obsessed and self-promoting CEO Lucy Mirando (Tilda Swinton) has big plans for Mija's dearest friend. OKJA will premiere exclusively on Netflix on June 28.